Civil engineering services at Emanuel Engineering Inc.
Emanuel Engineering Inc. is a primary resource in the region for medium to large scale development projects. 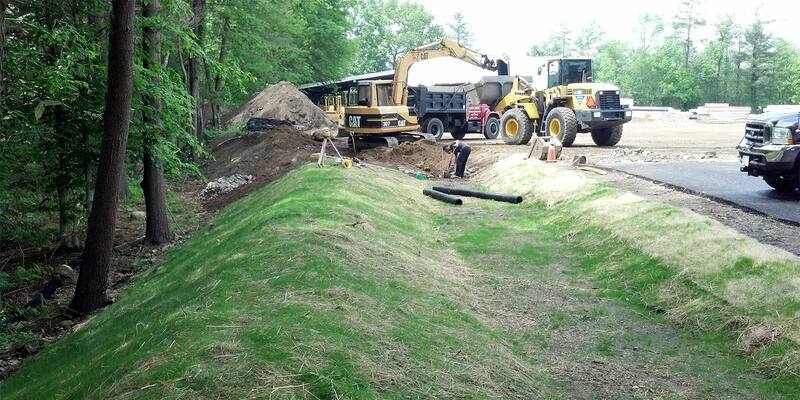 Working with development partners in residential, commercial, and industrial site development, we design and manage all infrastructure requirements including roads, parking, storm water control, as-built plans, septic design, integration with municipal water and sewer systems, and most other issues associated with new or expanded site development. We balance our designs to conform to all local, state, and federal regulatory requirements with the needs of our clients. Throughout the approval process, we support our clients with comprehensive presentations at public hearings and local boards. Our meticulous attention to detail helps minimize time from application to approval.